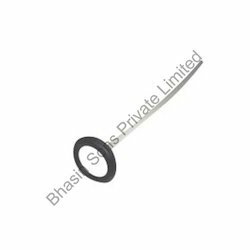 We at, Bhasin Sons Private Limited are well known pioneers in the field of manufacturing and exporting Diagnostic Equipment. Our products are well-known for its durability and sustainability. These equipment play a vital role in medical diagnosis done by a physician. We offer a wide range of diagnostic equipment to meet the huge requirements all over the world. All the products listed under this category are as follows Ear Infrared Thermometer, Percussion Hammers, T Shape Hammer etc. Comprising hi-tech infrastructure facilities, we are able to offer a wide range of Stethoscope Cardio. We comply with research modules of our skilled professionals for the process of manufacturing these stethoscopes. These products are appreciable due-to its matchless reliable quality and sensitivity. It has a wide range of usage in medical field, which is mostly used for diagnosis of cardiac sounds. 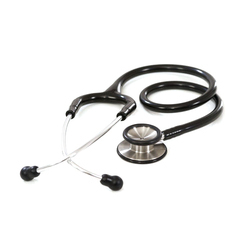 Our stethoscopes are provided with light-weight alloy made, highly sensible chest piece for accuracy in reading. 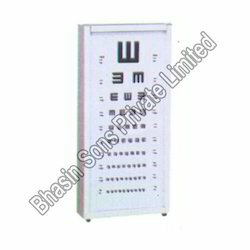 With broad industry knowledge and innovative approach in manufacturing and exporting, we offer Eye Testing Drum. These drums are specially designed which are easy to wall mountable. In the drum letters are written in different sizes at various dimensions to check the visibility of the patient. We find these drums widely in eye testing centers. It is made of superior quality plastics to meet the international competition. 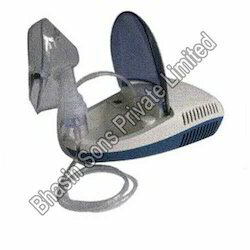 Our organization is involved in manufacturing and exporting a wide range of Nebulizer. These elegantly designed with quality wire and other essential devices. It simple structure and light weight enables to relocate effectively. These are commonly used by the asthma patients. In order to retain our ISO standards we use high grade plastics to ensure its stability and durability. For the convenience of our customers we offer these products at an economical price. Backed by our efficient workforce, we are able to offer our clients with Percussion Hammers. 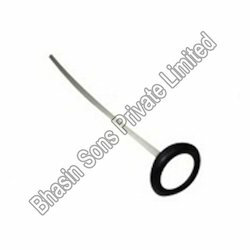 All our products are available with plastic flexible handle along with round rubber head and reflex point. These products are widely appreciated by the customers due to their longer functional life, abrasion resistance, high elasticity and high tensile strength. In addition to this, we have the capability to customize all our products as per the demands and requirements of customers. With the customer focused approach and rich industrial experience, we offer T- Shape Hammer. As it name shows it is T- shape with elegant rubber at both the ends. We prefer these special hammers for physiotherapists. The handle of this product is perfectly designed. In order to maintain the quality we use quality wood and rubbers. These are light weight and easy to use. These are greatly applicable in hospitals and physiotherapy centers for pain reliving. Strictly following the research modules of our skilled professional, we are involved in manufacturing and exporting Cane Type Hammer at a large scale. These are manufactured using high tech technologies and technicians. The bottom of this hammer is round shape and surrounded by the suitable rubber. It is widely appreciated for its longer service life. This hammer is appreciated for its hardness and user friendliness. We hold the expertise in manufacturing and supplying Ear Infrared Thermometer around the globe. Our products are manufactured using first-quality raw materials purchased from genuine vendors in the market. The features of our product are its user friendly design, safe ear tube; digital display and prolonged battery pack up. These are applicable in finding out the core temperature of the body by finding out radiation from ear drum. 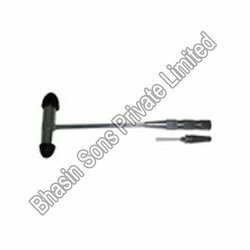 We at, Bhasin Sons Private Limited are engaged in manufacturing and exporting Clinical Thermometer around the globe. Our firm uses modern technologies and high quality raw materials for the manufacture of this product. This product is featured with high durability, handy structure, pain free press button, accurate digital display and eye catching design. In all hospitals and diagnosis centers temperature can be easily found out. With innovative and focused approach, we manufacture and export a wide range of Digital Thermometer. The noticeable features of these thermometers are contemporary design, beeper function, accuracy and perfect display. 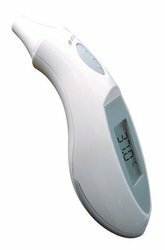 These thermometers are additionally provided with quality battery, LCD with memory facility. It is commonly used to read the temperature of the patients. This product is available in various sizes at different color combinations. We are efficient in manufacturing and exporting Portable X-Ray View Box widely. These finely designed and are highly portable. It is commonly used in clinics and hospitals to view the X-rays. The remarkable features of these products are imported sheet, stainless steel tray, heavy duty choke and epoxy power coated for protection. 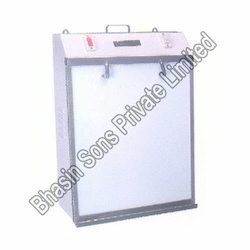 This X-ray box is available with us at different size at an economical price including all the essential specifications. 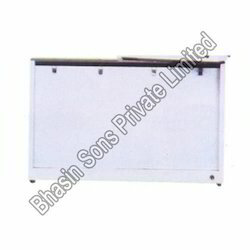 We hold extensive proficiency in manufacturing and exporting X-Ray View Box. These are easily wall mountable and are square shape. It is provided with comfort working principles and quality clips for holding the x-rays. This is mainly used for its simple structure and flaw less performance. According to the customer choice it comes with different specifications. These are widely used by the laboratories and clinics for viewing x-rays. With wide and industrial experience we are able to offer Triangular Hammer around the world. 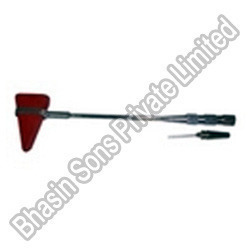 We produce these types of medical hammers using first grade raw materials bought from leading sellers. Our firm has featured this with thick rubber edge, thin steel handle, additional grip facility and rubber adjustment facility. These are widely used by doctors in neurology for finding out tendon reflexes and nerve disorders. 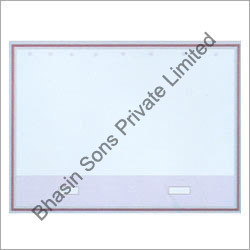 With the constant and well-organized distribution network, we manufacture and export an ample range of X-Ray View Panel. It is suitably designed to work on the both high and low voltages system perfectly. Our range is manufactured using superior quality materials that are in compliance with international quality standards. These are composed with quality equipment like 2-plate X-ray viewing screen, electronicballasts and electronic digital dimming control circuits. Looking for Diagnostic Equipments ?